A father is making a desperate call for a liver donor for his eight-month-old daughter, who is fighting for her life at the National University Hospital's (NUH) paediatric intensive care unit. 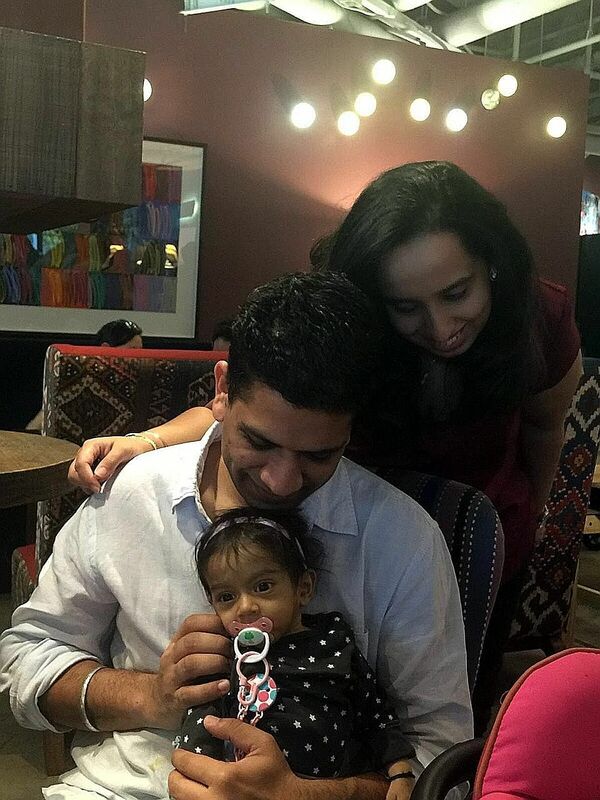 Zarouhi Singla was born with biliary atresia, a rare liver disease that can be deadly, her father, Mr Sandeep Singla, told The Straits Times yesterday. Mr Sandeep, 34, donated part of his liver to her in an operation on Friday, but the transplant failed and she is currently on life support. Professor K. Prabhakaran, director of the paediatric organ transplant programme at NUH, said Zarouhi is very ill and unlikely to survive without a second transplant. Biliary atresia is a rare progressive inflammatory disorder of the liver that affects one in every 15,000 infants, said Prof Prabhakaran. Its cause is not clear. "At least 60 per cent of children with biliary atresia may develop liver failure that requires a liver transplant within the first two years of life," he said. Mr Sandeep, a general manager for Shell, and his wife, Ms Neha Wilson, are Indian nationals who have been living in Singapore for about 18 months. Zarouhi, who was born in Singapore, has spent about five months in and out of hospital, said Mr Sandeep. After the failed transplant attempt, he is worried that his only child does not have long to live. While Ms Wilson is being assessed to see if she is a suitable donor, the couple are looking for a standby donor in the event that she is not eligible, said Mr Sandeep. "We wanted to reach out to the public because time is not on our side." Mr Sandeep said he would cover the medical costs of the potential donor, who must be healthy and match Zarouhi's O positive blood type. Thanking supporters and NUH staff, he said: "Even though we are foreigners here, Singapore has made us feel at home. This is a great country with great people." Those who meet the criteria and wish to be considered as a donor can contact Mr Sandeep at sandeepsingla@hotmail.com.